The performance is the latest in a consecutive string of 'best-ever' months, as demand for the service continues to increase. Data for each month is released around 5-6 weeks after the end of each month. 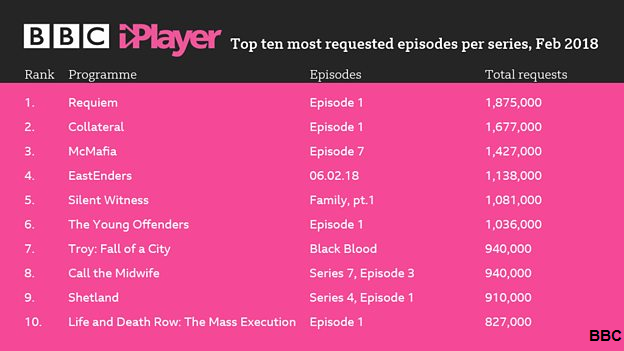 Across February, more than 285 million programmes were watched by viewers, a 4 per cent year-on-year increase, with average daily requests of 10.2 million.